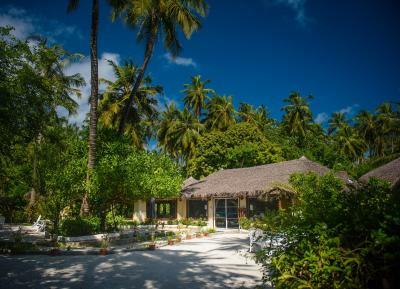 Lock in a great price for Biyadhoo Island Resort – rated 8.4 by recent guests! Everything was just amazing! 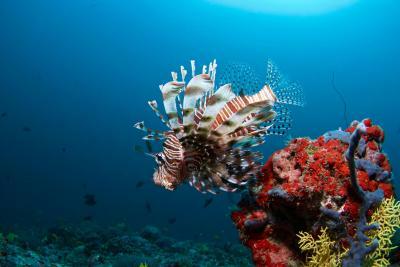 Personnel - smiling and kind, food - delicious and varied, location with amazing home reef. 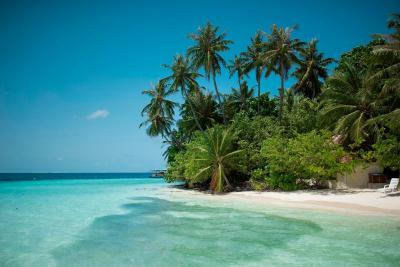 Really it looks like a paradise- green island surrounded with a clean blue water and with a white sand beach. Me and my family had an amazing vacation and definitely will recommend this resort for our friends! I would love to say a big thanks for all personnel of this island because you all made this trip for my family just unforgettable! The chef Henda pampered my allergic grandson (egg, nuts) from the first day. He was very careful not to serve him food that could have been contaminated on the buffé and cooked for him separately - with a big smile. It turned out that our beforehand worries for my grandson’s meals were quite unnecessary. The Island & reef was awesome. Food & Beverage were really good. The staff were welcoming and helpful. 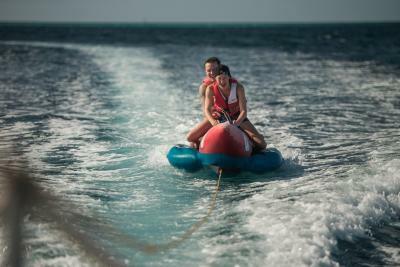 We took an All Inclusive package which included a couple of activities, which we both fun. Water, Beach, Awesome Dive centre and dive instructors, Nature including several large Banyan Trees, House Reef, Reef Sharks, Good Size of island, Friendly staff. Awesome all inclusive pack which had red wine, cocktails, G&Ts etc. Ignore the other reviews..people want 5 star on a 3 star price!! Heaps of Italien guests which was really fun too! 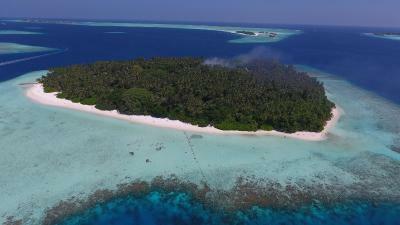 Biyadhoo is a wonderful property. While the resort is old however the rooms are neat and clean. 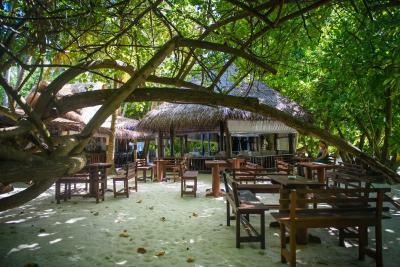 The entire staff including reception staff, housecleaning, chefs & restaruany servers, the coconut bar, the water sports centre we're extremly polite and helpful. 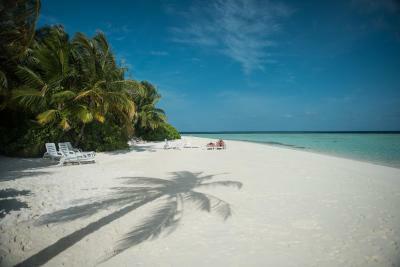 The beaches on the island were extremely clean and well equipped with ample beach chairs.While we were first time snotrkelers, we immensely enjoyed the house reef, which was easily accessible and rich in marine life. Hope to be able to come here again some day!! 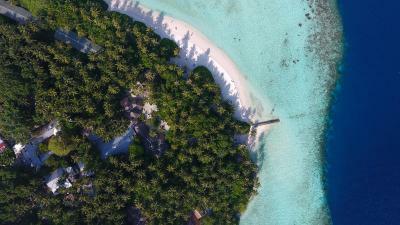 Biyadhoo Island Resort This rating is a reflection of how the property compares to the industry standard when it comes to price, facilities and services available. It's based on a self-evaluation by the property. Use this rating to help choose your stay! 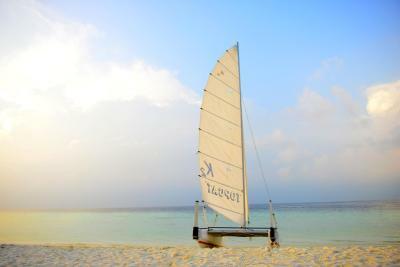 Within tropical greenery, Biyadhoo Island Resort offers charming beachfront accommodations and a variety of water sports. Surrounded by sparkling blue waters, it features a semi open-air restaurant and spa. 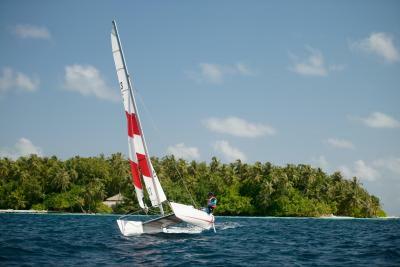 Biyadhoo Resort provides a round trip speedboat transportation from Malé International Airport located 40 minutes away. The simply furnished rooms feature classic wood furnishings and views of surrounding greenery. They come with air conditioning, a safe and tea/coffee making amenities. Guests can enjoy afternoons windsurfing and snorkeling in the clear waters or relaxing with a soothing massage. After a day of activity, quiet moments can be spent in the library. Providing a casual, open-air dining environment, The Palm Restaurant offers a selection of fresh seafood and international dishes. 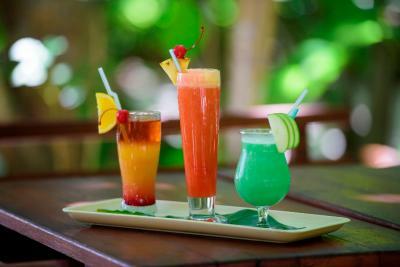 After-meal beverages are served at Coconut Bar. 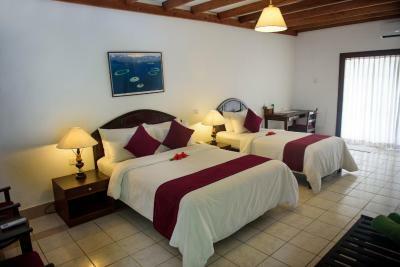 This property also has one of the top-rated locations in Biyadhoo! Guests are happier about it compared to other properties in the area. This property is also rated for the best value in Biyadhoo! Guests are getting more for their money when compared to other properties in this city. 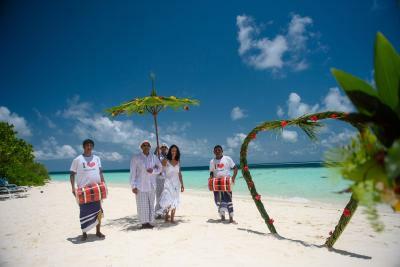 When would you like to stay at Biyadhoo Island Resort? 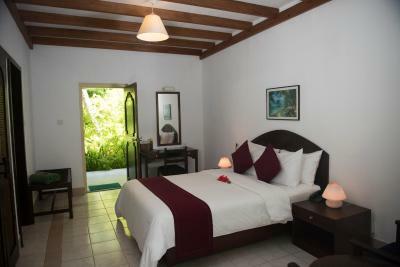 This beachfront room has hot and cold shower facilities, a minibar and a tea and coffee maker. There is also a sitting area, a writing desk and a private terrace with an outdoor sitting area. 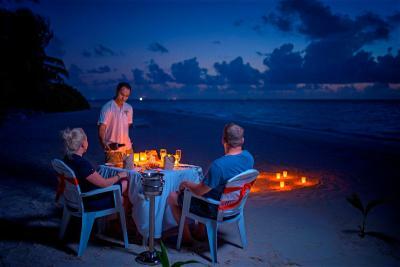 House Rules Biyadhoo Island Resort takes special requests – add in the next step! Biyadhoo Island Resort accepts these cards and reserves the right to temporarily hold an amount prior to arrival. Guests must advise the number of passengers traveling and their arrival and departure flight details at the time of booking, at least 72 hours before arrival. Failure to confirm arrival time may result in delayed transfers, in which case guests will have to pay additional charges for additional overnight stay and/or private speedboat rental costs. Please note that it is mandatory for guests to take the resort transfers and own transfers are not allowed. 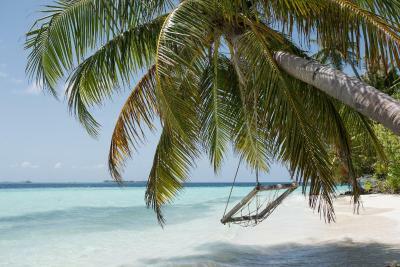 For guests arriving from Maafushi Island the price shall be USD 75 per person Inc. taxes. 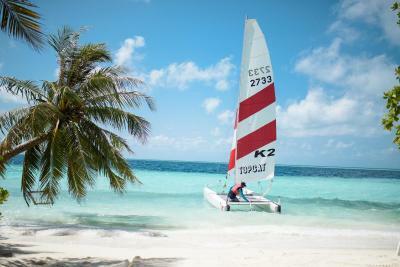 The resort will arrange for a round trip speed boat transfer to the hotel from Malé International Airport. The above charges are to be paid directly to the hotel. Please note that it is mandatory to use the transfer provided by the property. Well the rooms need a bit of renovation. But for us it’s OK! 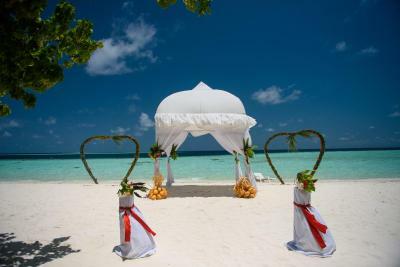 Biyadhoo Island Resort is one of the last pure Diamonds of the Maldives. Perferct beaches, an excellent cuisine (our regards to the chef 👨‍🍳 and the pattisier!!!) and a staff on 5 Star level - very competent and friendly. 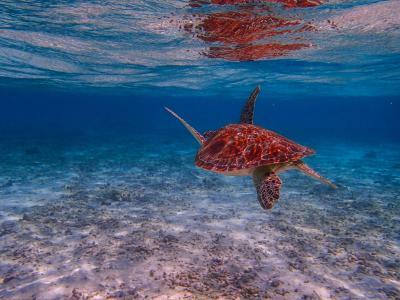 The house reef is ideal for snorkeling (stingray, turtles, reef sharks, moreys and of course fishes) The corals start growing again, but on a small scale - thanks to the climate change :( Let’s hope they adapt and color the reef again. The best of all: no water bungalows! That means, no arrogant people, but normal and nice ones. Nice Italian folks (OK, live 50km near to the Italian border), also the Germans were not as Germanlike as the are in Italy or here in Austria ;). The French people were also very decent and funny. Well and the Chineese... were as always. 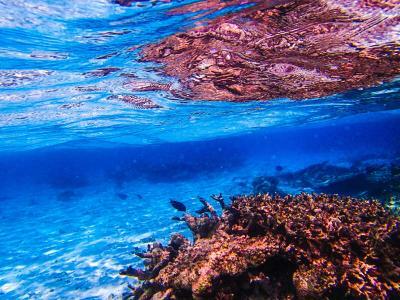 To all Chinese snorkeler: put your mask on, DO NOT TALK WHILE SNORKELING (yes that’s the reason why you get seawater in your mouth) AND UNER NO CIRCUMSTANCES STAMP AND TRAMPLE ON THE REEF EDGE AND DESTROY THE NEW CORALS!!!! (Because of stopping down to get out the seawater from the mouth to start talking again) We all have to take care of this jewel, so look and learn from all other nationalities. The staff is taking care of this beautiful Island!!! Dustbins every 50m to keep the beaches clean. You find no litter, everyday the paths were cleaned by nice ladies in there beautiful muslim robes. The roomservice was very accurate (2 times a day!!!). Decors with flowers an grass on the linen - really beautiful. 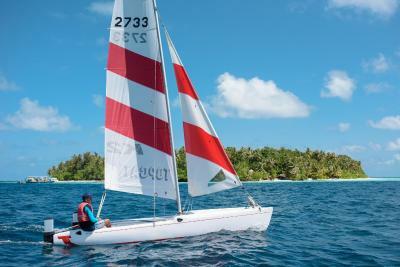 Organized tours for everyone (water sports, scuba diving, typical Maldives village, fishing, etc.) And also the nice tradition of the godfathersip for a new palmiere is really a nice idea! we stayed for 3 weeks and had the time of our life! Thank you very much!!! It was not up to the extent we expected. Welcome was good up to the cashier point. After the payment it was so horrible. Water Sport center is not having much enough equipment to fulfill guest needs. 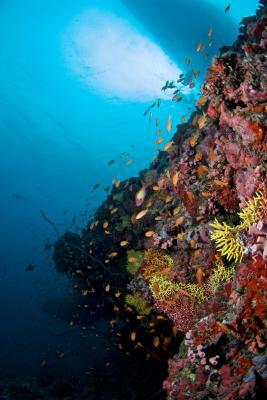 The boat which use to pick guests for snorkeling does not have emergency & Safety equipment. They get the signature to a printed form as they are not responsible for any thing happen during the snorkeling session the guest has to bear the risk. They don't even read what the guest has mentioned on the form that they provided. Only Making Money not thinking about a better service. We spend most of our time outdoors, but were still expecting a slightly better quality of bedroom which was very tired looking. It is so sad to say about the hospitality and the accommodation facilities they provided. Dive center doesn't have the enough equipment and most of them are broken. Even the barman doesn't know how to make cocktails. 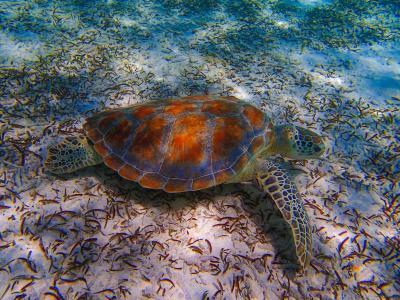 Specially snorkeling trip is the worst and risky thing i have experienced ever. Awesome place. very friendly staff. Booking.com price was not accurate, hidden or at least not so visible fees. 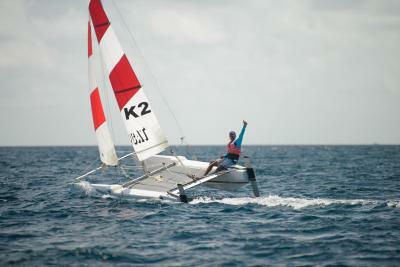 The mandatory boat transfer was quite expensive. Addionally full board price did not include but two small bottles/day of water. The drink prices on the resort were high. The island itself was a paradise on Earth. 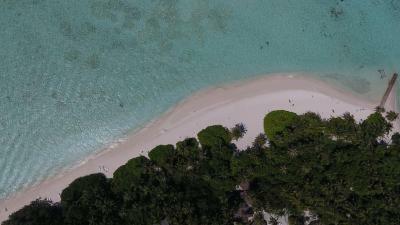 The white sandy beaches all around, beautiful coral reef easy to snorkel with dozens of sealife, the green forests that hide nice buildings inside. Absolutely gorgeous place! Even more beautiful than in the pictures! The buffet: varied and tasty. The bar was located near the beach and had nice atmosphere. I highly recommend Biyadhoo. Hotel is great value. 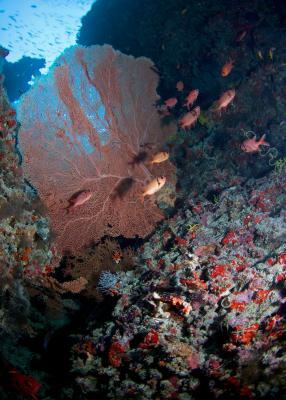 Amazing beach with its own reef, so no need to take excursions to somewhere else as the island has it is all included. Very thoughfully there is a projector at night so that guests can observe the marine night life. Lodges are a bit old, but rooms are comportable and has everything. 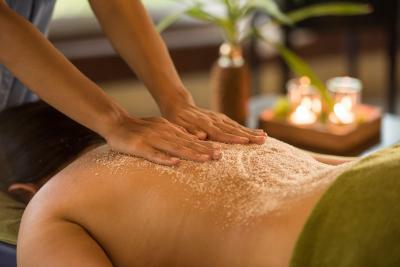 Hotel has lots of places for relaxation as well as spa which is perfect for great relaxation. Prices for spa are also affordable. Restaurant is good, food has some variation as well. Personell of the restaurant is also very nice, they always welcomed some feedback on the food. Overall people there are very nice and welcoming. Hotel also offers organisation of the excursions, which is very convenient. The rooms and bathrooms and furniture need renovation and are very old. The floor and bathroom tiles were very old and needs replacement. The wash basins, Showers and other fittings are very old and they have no tap for hot or cold water or changeover tap.But the beds were comfortable and clean. The All inclusive package had very poor variety of Liquors and the brands were never heard or seen earlier. Only one beer choice i.e Carlsberg. The food shall have different varieties on each days , many food items kept repeating. More variety of Indian/Asian food could be introduced .They shall serve more fresh fruits in breakfast instead of apples and grape fruits on each day. 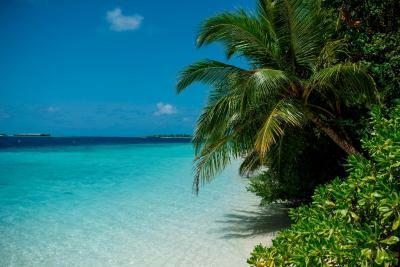 The Location is Fantastic with Crystal Clear beach ideal for Snorkelling .No need for Swimming ability. The Island is virgin and you feel that you have gone back in time with so many trees which are centuries old and chirruping birds. We were greeted warmly by front Office manager. Nilofer on our arrival with coconut water and cold towels and within no time we were at our rooms. She is very courteous and made our stay great and also came to see off at the jetty. Thanks to her. Each one of us were explained in details about the facilities offered and were given a map . The Beach bar is excellent but should have more choice for all inclusive package. Mr. Srikanth at the bar was very courteous and a always smiling .the other guys were a bit serious and non motivated. Restaurant food was Ok and could be better if they change some basic things and add few varieties of Indian food. The restaurant Staff ,Chef Henda and assistant Chef were very nice and open to suggestions or views. They tried their best to serve us ,however they should hire Indian Chef , not because I am Indian but for the fact that each of the other nationalities were enjoying and harping on the Indian food items .They should provide more variety of Fresh Fruits in the Breakfast. Each day it was apples, grapefruits and canned fruits. In some other days Fresh fruits like watermelon and Papaya were served at Lunch and Dinner, which I found a bit weird. The WIFI is free and excellent and works everywhere. The Snorkelling equipment are free and of good quality but were in scarce supply. 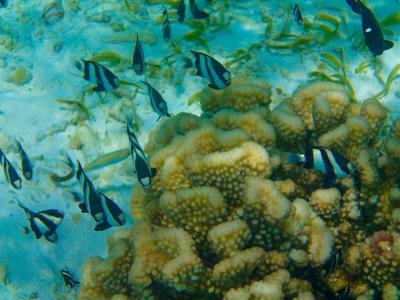 They should buy more Snorkelling kits .The Place is quiet ,peaceful and environment friendly. 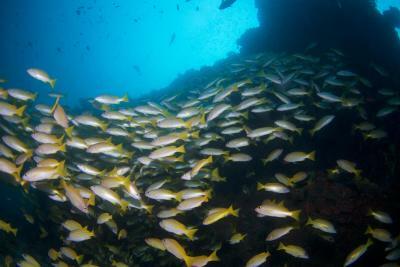 We could swim with variety of fish and even baby sharks. 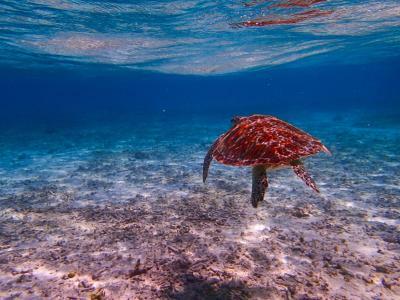 They have the best snorkelling spots. Overall we are happy and refresh and would like to go there again if they add authentic Indian food in the menu. There is no place, maybe a battery where to dry clothes in the room. They are always wet because of the humidity. Coffee is bad. Location. The island is perfect. 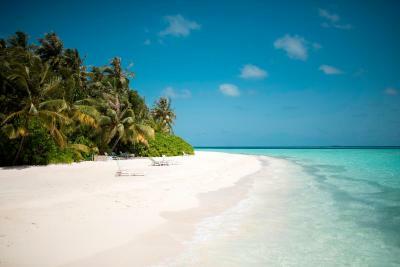 Location-very nice beach and good for snorkeling.